Researchers at Columbia University Medical Center in New York City have developed a method of growing dental implants in place using stem cells. The process can result in a fully formed replacement tooth in less than nine weeks from initial implantation. Unlike current dental implants, these teeth conform to changes that occur to the jaw bone over time, limiting the need for costly and time consuming adjustments or replacement implants. 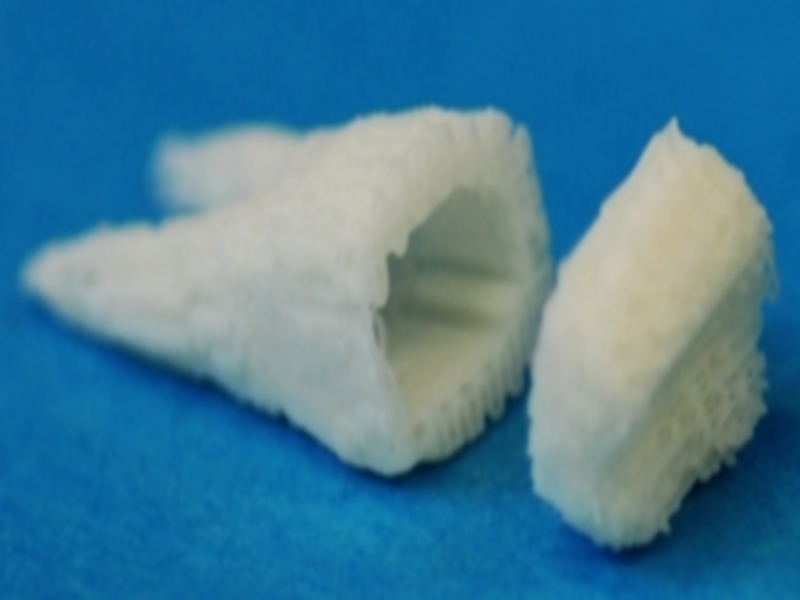 Dr. Jeremy Mao and his colleagues at the Columbia’s Tissue Engineering and Regenerative Medicine Laboratory attach a scaffold infused with a growth factor to the empty tooth socket. Stem cells hone in on the scaffold, eventually forming a tooth of the correct shape and size to fit the individual patient’s mouth. In addition to forming a more naturally compatible tooth, this method eliminates the need to harvest stem cells or grow the implant in a petri dish or other laboratory environment then implanting it fully formed. This process also regenerates periodontal ligaments and alveolar bone, neither of which is possible with traditional dental implants, and makes for a much more effective and natural tooth replacement. Dr. Mao’s procedure results in a fully formed tooth in approximately nine weeks. This is a significant time improvement over regular implants which can take as long as eighteen months from initial patient visit to a fully healed implanted tooth. A regular implant can also require visits to a long series of different types of dentists, adding complexity and expense to the mix. The new process is simpler, more natural, more efficient, probably longer lasting, and likely to be less expensive than traditional implants. Although animal models have been successful, the new implant method has not yet been tried in human mouths. Although general use by dentists is still in the future, Columbia is actively looking to start the approval process and commercial development of the new implants. TFOT has previously reported on a knee replacement technique using similar scaffolding that coaxes cartilage and bone regrowth. TFOT has also previously reported on other dental research and advancements including an herbal lollipop designed to help prevent cavities, the use of spectroscopy to discover early stages of tooth decay, and a study showing daily tooth brushing improves the health of patients confined to hospital beds. Read more about the new tooth implant process in this Columbia University Medical Center press release and more about Dr. Mao’s previous stem cell research in this CUMC newsletter article.